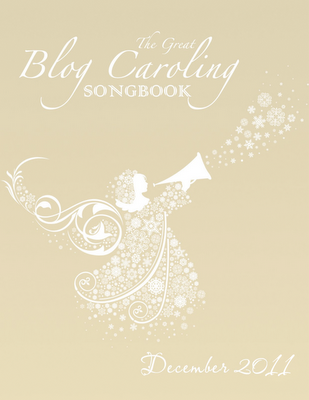 Let The Blog Caroling Begin! Cindy Scherwinski of In My Life, carols Enya singing Silent Night. Karen Krugman of Genealogy Frame Of Mind says "Got the eggnog and my sweetie as we blog carol to "All I Want For Christmas Is You," by Vince Vance & the Valiants. Bill West, West in New England, Hi fM! Here's my now traditional "I Saw Three Ships." Joan of Roots'N'Leaves says - Merry, merry, to fM, Here is my all time favorite "It Came Upon The Midnight Clear." FM, I love this fun event! Dorene from Ohio blog carols Away in a Manger at Graveyard Rabbit of Sandusky Bay . GeneaPopPop of Stardust'n'Roots said - With egg nog in hand, I am delighted to make this a new holiday tradition for me! Here's my favorite -- "I Wonder as I Wander." Got a box of tissues? Here's mine - Michelle Robillard, Call Me-shell, "Adeste Fideles" Thanks, and Merry Christmas! In the 1960s, we sang Star of the East in the annual Christmas pageant put on by the local schools . . . those were the days! . . . here's wishing a Merry Christmas to you and yours . . . from BeNotForgot aka Vickie E. . . . I chose my favorite holiday song, "Little Drummer Boy." I found a video with one of my favorite voices and animation that is also one of my favs. Thanks fM, for a wonderful meme at the holidays. Carol, Reflections From the Fence. 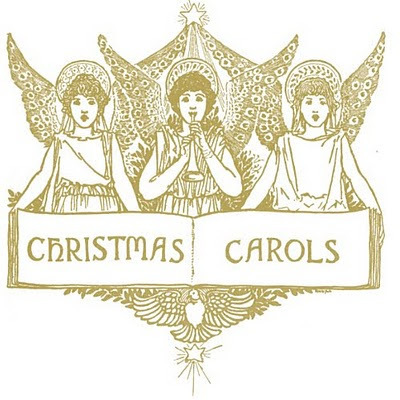 Jo of Those Who Went Before carols - So many favorites but I have chosen Carol of the Bells; an instrumental version by pianist George Winston. Looking forward to all the favorites. Denise Spurlock, Reflecting on Genealogy says My favorite: What Child Is This? Happy holidays! Deborah Andrew of The Sum Of All My Research made me laugh. You'll see why. Deb, if you can sing it, go for it. She said, "Ok, so I was so excited to participate. Made the post. Posted it. Then realized that you really couldn't go caroling with the song. It's more just my favorite Christmas Song. :( But thought I would still let you know that I participated...sort of. Anyway, I picked "You're a mean one Mr Grinch." Maybe before the 14th I can come up with a real caroling song and do a post about that.....I'll have to let you know. Chalk it up to too much eggnog. :P"
Gini of Ginisology tells us, "I picked both mine and my mom's favorite, Silent Night, in German, Stille Nacht. Had to have the tissues ready as I posted this one. Merry Christmas to you all . . . ."
Apple of Apple's Tree tells us, "It wasn't hard to pick a carol this year. I'll Be Home for Christmas." Caroline Pointer, of Family Stories says, "Okay, here's this year's selection. Drink up! ;) Caroling with Grandma. Lookout for that reindeer. Terri O'Connell of Finding Our Ancestors carols Silent Night and tells us "Merry Christmas and Happy Holidays everyone!" Lisa of 1 Ancestry 2 Little Time says, "This is terrific! My fave is "O Holy Night" especially when performed by Josh Groban. Thanks for this blogging fun!" Mary from Me and My Ancestors picked another carol from the Fogotten Carols. Let Him In. 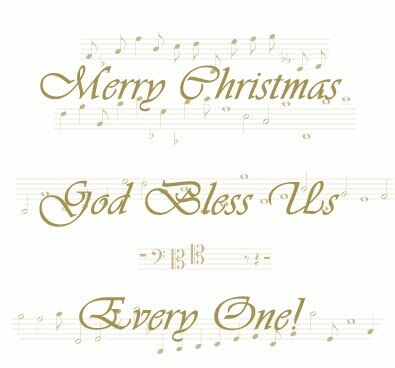 Have a Merry & Blessed Christmas! Jacqi Stevens of A Family Tapestry says, "Thank you, fM, for this splendid opportunity! I wasn't sure I'd be able to participate, as I'm in the middle of a series on WWII letters home from my father-in-law that I won't complete until after Christmas. But then it hit me: amidst the palm trees in the south Pacific...what better choice than to insert the original intro to "White Christmas"?! And so, I can be part of the party, after all! Enjoy! And have a wonderful Christmas, no matter where you are stationed this December 25! Leslie Brinkley Lawson of Genealogy and Other Thoughts says she can't pick just one. Perhaps, but she sure can pick her men. Go listen here. I'm joining the choir! Nancy of My Ancestors and Me carols "The Sussex Carol." Thank you so much for hosting, footnoteMaven. Nancy, the tag is fine. Jacqueline Foster says, "Thanks FM, caroling in you jammies, great idea. My favorite carol is "Here Comes Santa Claus". Posted on my blog at My Journey Back. Denise Olson of the Moultrie Creek Gazette says "This year I'm singing Silent Night with Bob Hope and the three generations of troops he entertained at Christmas. Silent Night with Bob Hope. Wendy tells us "I'm singing "Mary Did You Know?" so join me at Jollett, etc. Thomas MacEntee of Destination: Austin Family carols I Heard The Bells On Christmas Day. Heather Wilkinson Rojo of Nutfield Genealogy carols "The Holly and the Ivy." The Road Backwards' Karen carols "Ding Dong Merrily On High!" Greta Koehl of Greta's Genealogy Bog carols "Heaven and Earth." Dawn Westfall of Wisteria loves to carol in all forms :) and joins Blog Caroling with O Holy Night. Linda McCauley invites us to The Temptations singing "Rudolph the Red-Nosed Reindeer" at Documenting the Details. Denise Levenick, The Family Curator, says, "It's still Silent Night! Happy Christmas, Merry Holidays. Nancy of Gathering Stories tells us it's, "Not a traditional carol but a gorgeous Christmas song nonetheless- Rose of Bethlehem. Shelley Bishop is chiming in with "Have Yourself a Merry Little Christmas" at A Sense of Family (and there's also a bonus, just to add to the fun). I loved it!!! It's All Relative's Laura Aanenson gives us her kinda silly entry, a special Twelve Days. Whitney Houston's Joy to the World comes to us from Linda Rudd of Between the Gateposts. Liv of Claiming Kin says, "Thanks so much for this opportunity to participate and add my favorite Christmas carol - What Child is This? - to this year's event! Jasia, our Creative Gene tells us, "My latest favorite Christmas carol is "Let It Snow" by the cast of Glee! Come sing along with me! I Want A Hippopotamus For Christmus! Merry Christmas to you, dear footnoteMaven! I couldn't miss out on this year's caroling. "O Holy Night" is my favorite, and I've shared it over at 100 Years in America. Visit Lighting the Way for the Christ Child to read about my childhood Christmas Eves and how my family and I celebrated the holiest night of the year. Angela Y. Walton carols "Mary Had a Baby at My Ancestor's Name. Sorry Angela, didn't get your comment. Sarah Greenleaf of My Mouse Is Broken carols "Mary Did You Know" and tells us that she loves seeing what everyone chooses. Craig Manson, carols O Little Town of Bethlehem, posted at GeneaBlogie. Anglers Rest is blog caroling Carol of the Bells at Anglers Rest. And my own, Good Bloggers All This Christmas Time - The Wexford Carol. Thank you, footnoteMaven, for this fun opportunity for sharing. I enjoyed the journey from "house to house" to hear everyone's choices and visit their "homes." Looking forward to revisiting this tradition again next year! Thanks for another great year of blog caroling, fM! Wow, what an amazing array of songs! I hope I get time to read all of these! Thank you fM. Fabulous collection! Merry Christmas to all. Footnotemaven, thank you for the fun idea and for the linkage-- hope you have a truly Merry Christmas! A wonderful Christmas to you, dear footnote Maven! What a wonderful response. Happy holidays!